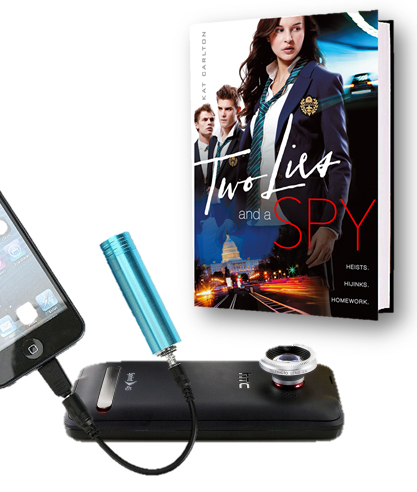 When 16-year-old Kari’s dad sends her an unexpected text, she and her brother immediately go into hiding. Because when your parents are superspies and your dad declares a Code Black, it can only mean something bad. Very bad. "A spy is only as good as her gadgets!" 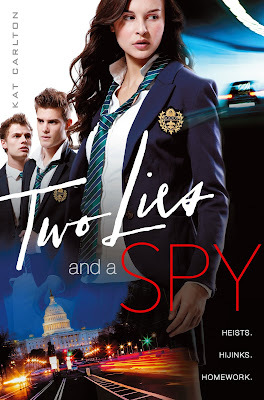 Get your hands on a copy of Kat Carlton's "Two Lies and a Spy," released September 3, by entering our giveaway! A copy of "Two Lies and a Spy"
To enter, leave "like" College Gloss on Facebook, and comment below with your name and email address.